I think they are trying to sell jewellery here but I keep looking at the adorably cute pom rendering the jewellery secondary. At first glance I thought the dog was Boo but apparently this is another one called Tito. What do you think? 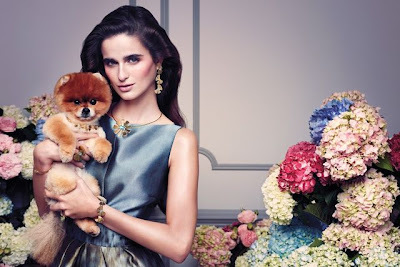 Cute campaign from Tous or distracting as you can't appreciate the jewellery due to the scene stealing puppy?